For nearly 30 years, Office Gallery has been one of Boston's most trusted office furniture suppliers. With longstanding relationships throughout the community and with furniture suppliers nationwide, we help companies of all sizes with their office furniture and design needs. Michael Troia is the CEO of Office Gallery. As CEO, he works with clients every day to understand their needs and find the right furniture for every workplace. He began his career in office furniture and design in 1981 when he joined Scandinavian Design in Natick where he was instrumental in developing their Office Gallery division. Michael then built Jesper Office Furniture's corporate customer base and was the General Manager of the Furniture Division of Macy’s in Braintree, where he met his wife Hilary. Michael joined Allen Wluka, a colleague from Scandinavian Design, as a business partner of Office Gallery International in Norwood in 1995 and built Office Gallery over the next 20 years. In July of 2016, Allen retired from Office Gallery and handed the reigns over to Michael and his wife Hilary. Hilary Troia is President/owner along with her husband, Michael. They purchased Office Gallery in 2016; and for Hilary, this is a homecoming. Five of her 25 years as an executive sales leader were spent at the company she now owns. As someone who has both designed office space and who has been responsible for the most effective use of every square foot of a retail or commercial location, Hilary understands how to take an idea from concept to completion and how to make furnishings work well in the office environment. Her eye for detail and quest for perfection helped assure her success at various executive level positions. She was Director of Marketing/Community Relations at Home Instead Senior Care, Vice-President/General Manager at Macy’s and owner of a commercial and residential space planning and interior design business, Manchester Lane Design. Erin Curran joined Office Gallery International as a Design Project Manager in August 2018. 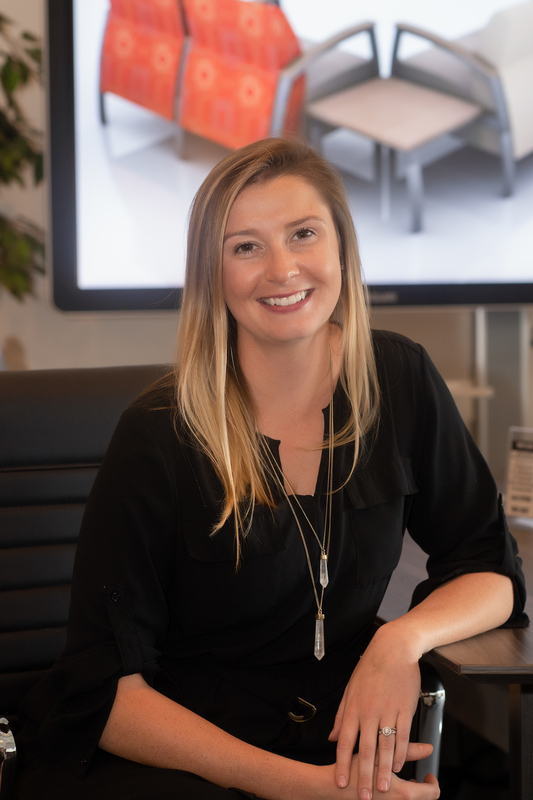 In this role, Erin helps clients transform their spaces into effective and outstanding design solutions by planning and presenting finish and furniture selections. Previously, Erin worked at Boston Interiors for six years, creating beautiful home designs for clients all over New England. During this time, she was well known for her exceptional skills working with color, pattern and texture to design beautiful spaces, and was a top salesperson for the company as well as an assistant manager where she oversaw interior design efforts for clients. Previously, she built her skills with visual merchandising work at Boston’s Museum of Fine Arts and at Macy’s. She began her career with Pier One Imports; her entire career has focused on interiors. Erin graduated from Keene State College with a BFA in Sculpture. During her time there she studied abroad in Australia for a semester, and upon graduation, worked at an auction house in Dublin, Ireland, for almost a year. She currently resides in Dorchester with her husband Brian and dog Harley. In her free time Erin enjoys exploring new places and staying active through outdoor activities like hiking and kayaking. Director of Operations Jordana Bishop is the heart and soul of the Office Gallery family. On board since 2004, her original intention was to assist Allen and Gwen Wluka, the former owners of Office Gallery, temporarily. Fast forward to today and Jordana is going stronger than ever, putting her many skills to outstanding use. 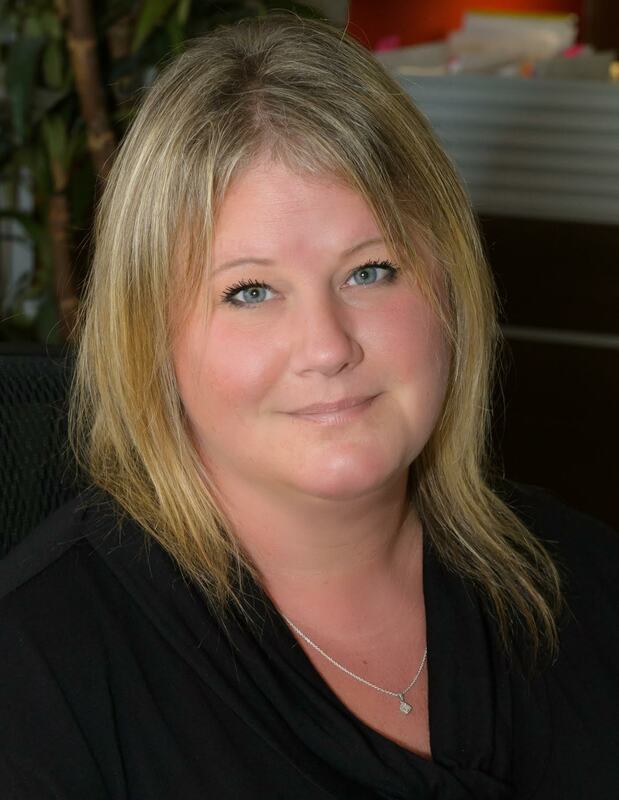 At the core of Jordana’s many and varied responsibilities is making sure that all delivery logistics are coordinated with Office Gallery’s vendors, customers and installation team. She is involved with IT support and sales and more than 10 years ago, her aptitude for web design came to light when she created the Office Gallery site. More recently she redesigned the company logo and was instrumental in our rebranding campaign. Jordana is also our social media marketing maven and is at the helm of our Facebook account making sure that it features up-to-date industry articles, customer highlights, recent projects and new products…she is always on the look-out for captivating ways to build the Office Gallery brand. Jordana is an active volunteer with The Neponset Valley Walk to End Alzheimer’s, a passion that followed the loss of her grandfather to the disease. A desire to bring awareness of the disease that affects 5.1 million Americans has led her to taking the reins as Volunteer Coordinator for the Walk in recent years; this year she has been named Logistics Captain, a pivotal volunteer role that requires extraordinary time and commitment. Jordana’s philanthropic nature is also extended to The Nowy Dwor Mazowiecki Jewish Memorial Project. Our dedicated delivery and installation team has been with us for over 10 years and will work hard to ensure that your new furniture is installed properly. Chris and Scott make sure installation goes completely smoothly and your office is left clean and ready to occupy when we're done!